There are two main types of windows when you are building/remodeling a home: new construction windows vs. replacement windows. Retrofits, which are also called replacement windows, are becoming a very attractive option for a majority of homeowners. They are affordable and much easier to install. However, there are still a number of different factors to consider before buying replacements for your project. New construction windows are essentially those that would be used in a project while a home is being built. They are built while the home’s framing studs are still open. They require that you take out the entire frame before installation. This can be a long process as it is difficult to actually remove the frame without damaging the exterior of the home in some way. New constructions have to be installed by removing the existing frame right down to the wooden studs. Then the new one can be installed in the same manner as the home was built originally. The resulting window installation cost are much higher because there is more labor and material required to install the windows. 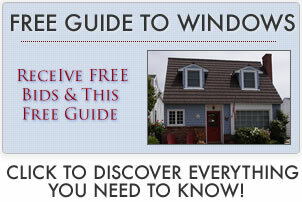 Retrofit or replacement windows are a way to save time and money. The windows installaion costs are much lower, and so are the costs of the materials. The old frame remains and the replacements are installed over top of them. There are 2 different kinds of retrofits: block frame or flush fin. Block frames are used with a wood window or siding and brick exteriors. The new construction windows vs. replacement windows comparison is quite similar here; essentially a block frame window is the same as a new construction except the nail fin is lacking. A flush fin is designed for use with aluminum windows or for exterior materials like stucco. This window has a trim already attached to it that goes on the outside of the building. This leaves the frame and exterior of the house unharmed. Discover more on a range of prices and costs. New constructions allow you to get a custom look because they have a whole new frame that is designed to accommodate the opening as well as the window itself. The downside is the length of time to install it, and the problems that could occur during installation. Very often the exterior walls or trim can become damaged, which could be harder to replace if your home has a unique type of exterior. Retrofits are more easy and affordable to install without causing any damage to the siding. But they require much wider frames because they work with the existing framing of your home. They can be difficult to install correctly, especially if the opening is a difficult or uncommon size. Many other potential problems can arise with either new construction or retrofits. You might wind up with windows that are too large for the openings, either with the existing frames, or with the rough opening designed to accommodate a new construction. Other problems include a number of issues with the frames. A lack of support can cause the sill to sag in the middle. Windows that are not installed level will prevent the sash from closing properly. Both of these problems can prevent them from getting a good seal and keeping out the outside air.